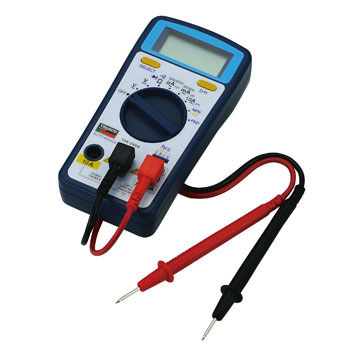 Measure up to 10 A direct current. Unfamiliar employees are also easy to use and useful. This review is about item#08289242. It is best if you have the electrode storage function for measurement. Bicycle battery measurement, wiring disconnection check, etc. It is light and easy to see and performance is also good so it's a nice shopping. In other words I would like you to turn it ON / OFF switch.